As reported previously about Windows Vista Family Discount plan, Microsoft has revealed the pricing details plus terms and conditions for the family discount promotion and offers. Vista Family Discount is launched in order to to make it easier, more economical and cheaper for households with multiple systems or PCs to migrate and upgrade to Windows Vista. Windows Family Discount is a limited time offers that valid from 30th January which is also the Windows Vista retail availability launch date until 30th June 2007. According to Windows Vista blog (link dead), Windows Vista Family Discount is best for home users who need fewer than 5 licenses, while those in need for more than 5 licenses of Windows Vista operating system may opt for volume licensing. Buy a retail copy of Windows Vista Ultimate (full or upgrade version). You will need to enter a valid full or upgrade Windows Vista Ultimate product key from retail boxed product to verify the eligibility online. 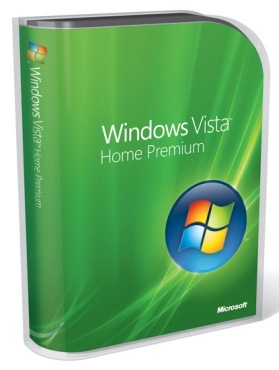 Between 30 January – 30 June 2007, order up to two copies of Windows Vista Home Premium online. Each copy of genuine Windows Vista Ultimate you purchased is only entitled to a maximum of two licenses of Windows Vista Home Premium at discounted price. Pay only $49.99 for each copy of Windows Vista Home Premium. Valid in North America (US and Canada). The suggested or manufacturers’ recommended retail price for Windows Vista Home Premium is $159 a piece. So it will be great savings if you have a few computers to upgrade. For more information on Family Discount plan, visit windowsvista.com/FamilyOffer or windowsvista.com/OffreFamily (in French) (dead links).